“I start out pretty seriously, but for some reason I just can’t seem to follow through and quit smoking.” Sound familiar? Would-be quitters always start out with the best of intents, particularly at the beginning of the New Year. 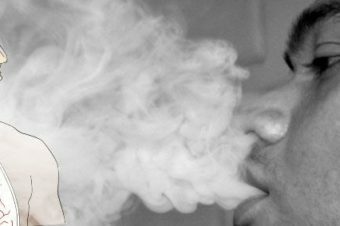 Some will decide on cold turkey or hypnosis to quit smoking, while others try nicotine patches or another method. In fact, some studies have shown that less than 5% of people who attempt to quit are able to make it for an entire year – while most fail within the first few weeks. Here, we will introduce three key reasons people may quit quitting and offer some ideas on how to tackle each in order to stay on the wagon. What circumstances led to quit slips in the past? Let’s start by exploring common situations which led people to fail in their attempt to quit smoking. A rather common one is “after meals.” In particular, there is a tendency for people to have an urge to have a smoke after breakfast. 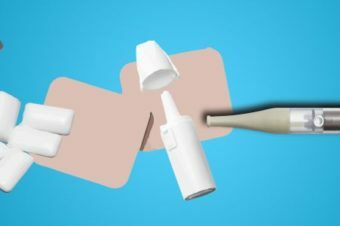 Even if they are able to set aside the initial temptation to smoke after waking up, all too often it can be difficult to immediately change a habit that’s formed over a decade or two, causing a slip. Another very common situation where quitters may slip is when they experience stress or uneasiness. Up until the point of giving up cigarettes, if a smoker felt irritated by something or otherwise encountered a stressful situation, they would be able to go straight to a smoking place and “decompress” with a cigarette. When quitting, however, this outlet no longer exists and stress can accumulate, ultimately leading to slipping. When I was a smoker, these kinds of situations were exactly the ones that beckoned me to cigarettes. But in and of themselves, these weren’t the reasons for caving to temptation. Let’s look at some more specific reasons for smoking cessation failure. You made the decision to stop smoking a few weeks ago and while the first few days were tough, things seem to be on track. You haven’t yet changed aspects of your environment. 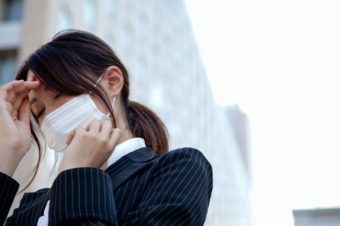 And now you have suddenly become more conscious of smokers around you: on the street, at the bar, and the familiar smell of cigarette smoke on a coworker’s clothes. When surrounded by smoke from other smokers, it can be easy to be reminded of the smoking life – and even perhaps a little envious of it – causing yourself to ask: “Why am I quitting? 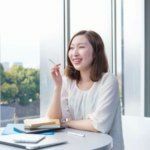 Should I just go back to smoking?” Seeing the familiar groups of smokers gathered can also lead to a feeling of loneliness, like no one is on your side and rooting for you to change. Self-doubt can creep in at this point as well, causing you to second-guess your resolve. Many tend to recommend that making a clean break from smoking and from everything associated with it – the people, the places and related products – is essential as a way to remain on track. Naturally, this isn’t necessarily practical or even possible for everyone, but when you are more conscious about a situation before encountering it, you may have a better ability to plan around how to cope. We’ll discuss this point a little later on. 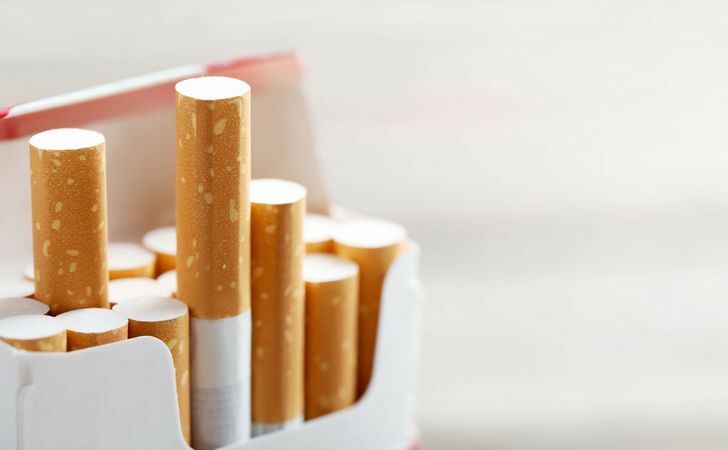 As a first step to giving up smoking, many will tell themselves, “I won’t buy cigarettes anymore.” This is a very positive initial decision and is soon reinforced with a positive outcome: money that would have otherwise been spent on cigarettes starts adding up. Smoking is, after all, an expensive habit, and quitting can help you start saving money at the same time. However, if you notice, have you completely given up cigarettes or do you sometimes bum a smoke from someone around you? Not buying cigarettes yourself is big step forward. 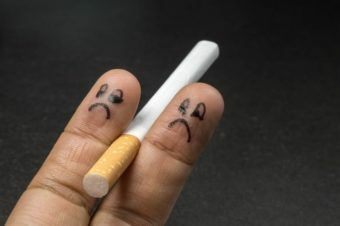 However, be aware that the idea of “you can quit smoking if you do not buy cigarettes” sometimes creates an internal mental rule saying that it’s “OK to smoke just cigarettes others share with you.” Stop trying to bargain with yourself and try taking that extra step toward complete cessation. This is perhaps the toughest reason why people fail in their decision to quit smoking. Many smokers have a network of friends who also smoke. They hang out and share dinner and laughs together. 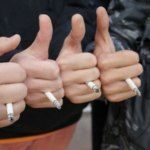 When encountering strangers at a smoking area, smoking is already a common point for everyone, and striking up a conversation can be that much easier. There may even be times that you share a smoke break with your boss, coworkers or subordinates and smoking forms a certain bond among you. There is a community of smokers, and adjusting to life with the non-smoking majority can be something of a hurdle. When you make the decision to quit smoking, it may be necessary to maintain some degree of distance with the smoking community and more actively seek out new relationships and friendships with non-smokers. It seems that sometimes the cigarette is absolutely necessary for communication on the job and if you can not disconnect that association, you will be more likely to fail in quitting. Without sounding excessively simple, one of the first things to consider doing when you make the decision to quit smoking is to start making a plan. For many people, a quit plan mostly involves the process of quitting, but we would suggest is to think actively about your current smoking patterns and consider alternative sets of behavior. Doing this can be as simple as keeping a smoking diary for a week and making note of when and where, and how you feel at the time, for each time you smoke in order to clarify exactly in what situations you smoke and help identify potential pitfalls. Next, considering a plan to address each situation can be helpful in maintaining your goal. On a piece of paper, write out a typical day for you by using your smoking diary. Include approximate times and places (e.g. after breakfast, at home) where you smoke. For each of these, consider and write down an alternative behavior you will take in the event you feel tempted to smoke (e.g. after breakfast / chew on mint gum or sunflower seeds). Finding the right way to phrase your resolve and saying no to smoking/cigarettes is also important. A 2012 study published in the Journal of Consumer Research found that when people face temptation, saying I don’t X can significantly improve the odds of making a healthier choice. For instance, if someone offers you a cigarette, instead of saying, “No thank you,” try saying, “Thanks, but I don’t smoke.” In fact, the same study found that saying “I don’t X” had a much higher success rate over a longer period of time as opposed to just saying thanks but no or I can’t X. Worth a try. This time, we introduced some of the reasons why people who started smoking cessation fail. If you are planning to quit smoking from now on, please consider some of the above tips. 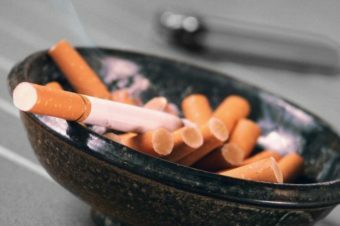 Smoking cessation is not just stopping smoking – it is also about changing your lifestyle and habits, such as relationships and customs made through tobacco so far. In order to make your next attempt at giving up smoking a success, it may be necessary to consider and implement specific behavior alternatives.